Pallet wood can be reclaimed in much versatile ways to meet every possible requirements of your dwelling. 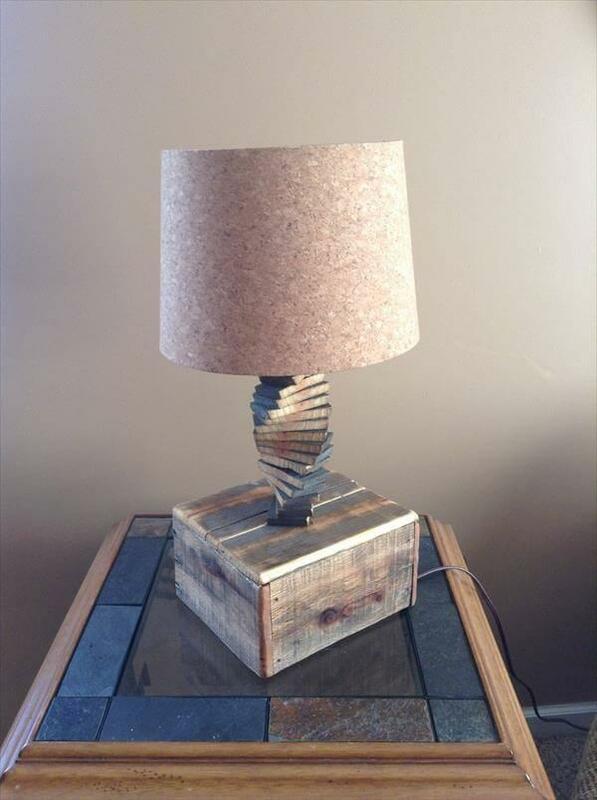 In this post, we have shared a very unique idea of pallet wood recycling. 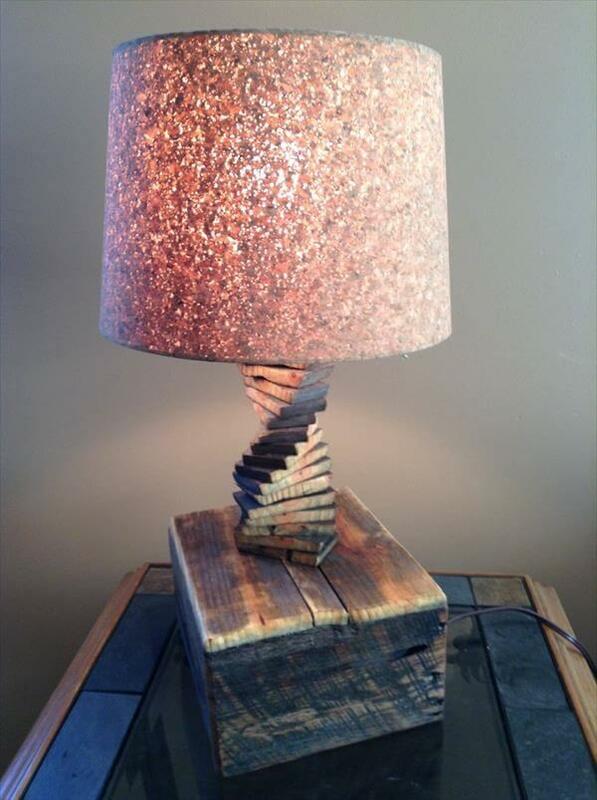 You can even make a light lamp from this free source of wood. 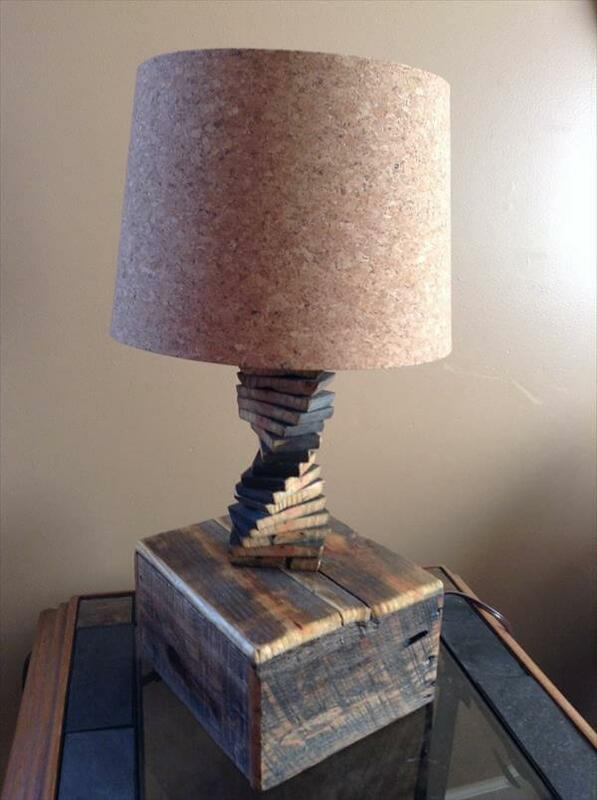 This spiral DIY pallet light lamp has beautifully been structured using a wooden block and some chopped rectangular pieces of pallets. The block contains the electrical apparatus and cables to supply the electrical power to the lamp. This handmade DIY pallet light is just best to put over your nightstands or living room side tables for beautiful comments! People interested in study and doing home projects can really avail this no-cost lamp to safely do rest of their office work. It will serve you as handmade centerpiece for your living room decors. Great idea for genius people and crafting lovers! Do enjoy this easy framework to earn a beauteous table light!